Netanyahu: Who Really Collaborated With the Nazis? According to official figures (Wall St. Journal, 10/22/2015), Israeli forces have killed 50 Palestinians in recent days, only 19 of whom are even accused of having attacked Israelis. In order to justify this and further stir up hatred of Palestinians, Israeli Prime Minister Benjamin Netanyahu is going around claiming that Hitler’s mass murder of 6 million Jews was done at the behest of the leading Palestinian cleric of the time, the “Grand Mufti” Amin al Husseini. This claim is false. What is true, however, is the long standing cooperation between wings of the Zionist movement and the Nazis back in those days. Neither Netanyahu nor the supporters of Zionism ever mention that! In 1934, shortly after the Nazis came to power, Jews internationally started a boycott campaign against Germany. The Nazis turned to the German Zionist Federation, who opposed the boycott campaign in exchange for being recognized as being the “official” representative of Germany’s Jews. As a result, the boycott campaign collapsed. 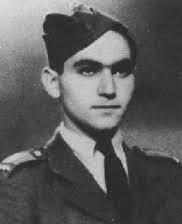 In April of 1944, Rudolf Vrba escaped from Auschwitz and made his way to Hungary, where he met with leading Zionist, Rudolf Kastzner, to whom he broke the news that the “work camps” that Hitler was sending the Jews to were in reality death camps, whose purpose was to exterminate the Jewish people. Kastzner subsequently met with infamous Nazi war criminal Adolph Eichman and, over brandy and cigars, agreed to keep this fact secret from the masses of Hungarian Jews. In return, he was allowed to pick out some 1500 “prominent” Jews to be sent to Palestine. Rudolf Vrba: His warnings were kept secret. 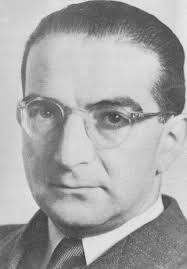 Rudolf Kastzner: He kept Vrba’s warnings secret from the masses of Hungarian Jews in a deal cooked up with Adolph Eichman. Yitzhak Shamir: He was a member of the Stern Gang when they offered to join WW II on the side of the Nazis. the German Reich… Common interests could exist.” It called for “cooperation between the new Germany and a renewed folkish-national Hebraium… The NMO offers to actively take part in the war on Germany’s side.” One member of the Stern Gang at that time was future Israeli Prime Minister Yitzhak Shamir. The Zionist movement has always been a reactionary movement, right from its inception. Just as it was based on racism and oppression of the Palestinian people, so it also betrayed the masses of Jewish people at moments of crisis. November, 2015, Election Results: Some local elections mattered most! This barely-publicized information shocking for so many, especially those of us with a Jewish family background. A Marxist historian named Lenni Brenner wrote several very good books about Zionist history and its relationship with Hitlerism. In fact, he did a lot of the original research that uncovered these little-known facts. Among his books are “Zionism In the Age of Dictators” and “51 Documents: A History of Zionist Collaboration with the Nazis.” These books are still in print and well worth reading. I know people – liberals – who flat out refuse to believe these historical facts. But the capitalist nationalists of all groups have always taken the side of the oppressors against “their people”, so why should this be any different?